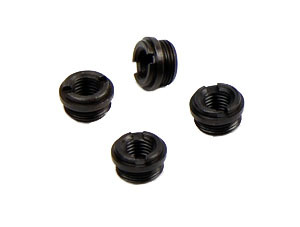 Ed Brown replacement slim grip screw bushing for 1911 slim grips. 4 pack. Blue.